Looking for a high-end coating that is more beautiful than natural stone or tile yet easier to clean and maintain? Diamond Coat’s resurfacing system is the modern way to receive a one of a kind countertop or bartop. What customers enjoy most about Diamond Coat counntertops is the lifetime durability and benefits competing products do not offer, such as beautiful 3-dimensional design not possible with natural stone, plus microbial, chemical and stain resistance. 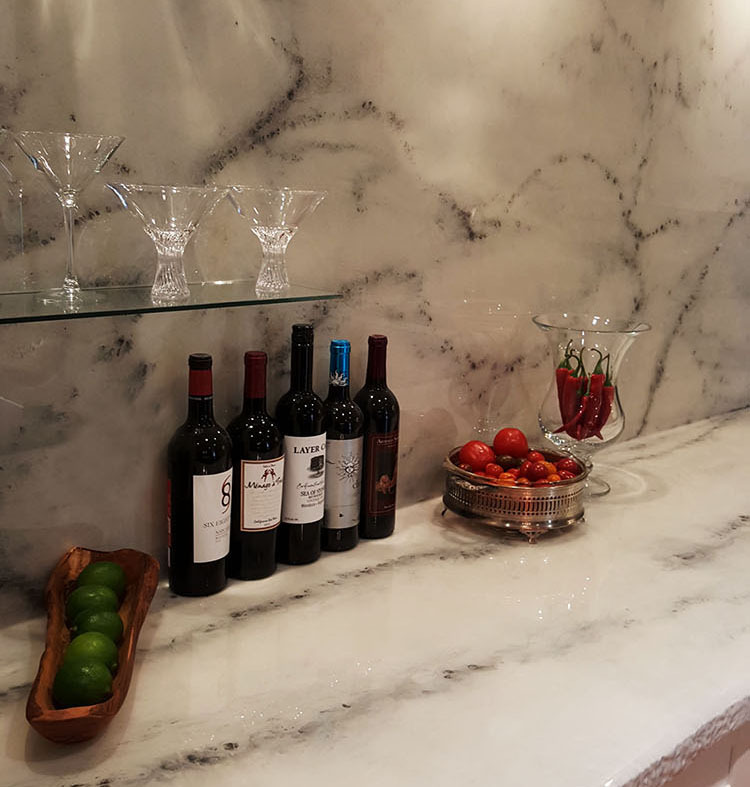 Because our epoxy is heat resistant up to 500 degrees, non-porous, seamless and scratch resistant, there is no need for continuous maintenance and upkeep for your countertop, making them completely food safe, unlike many popular materials such as granite, marble and tile. There is no need to worry about a messy or time consuming installation process. Our trained professionals will be able to install the perfect countertop or bartop for your kitchen in as little as one day.